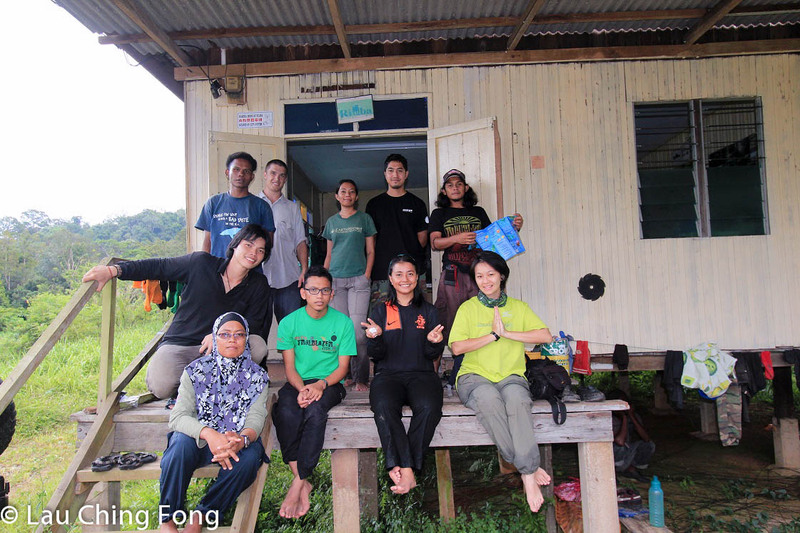 For those of you who are wondering what’s been going on in the Kenyir Wildlife Corridor (Primary Linkage 7), the end of the Chinese New Year period has also brought the end of Reuben‘s PhD field sampling. 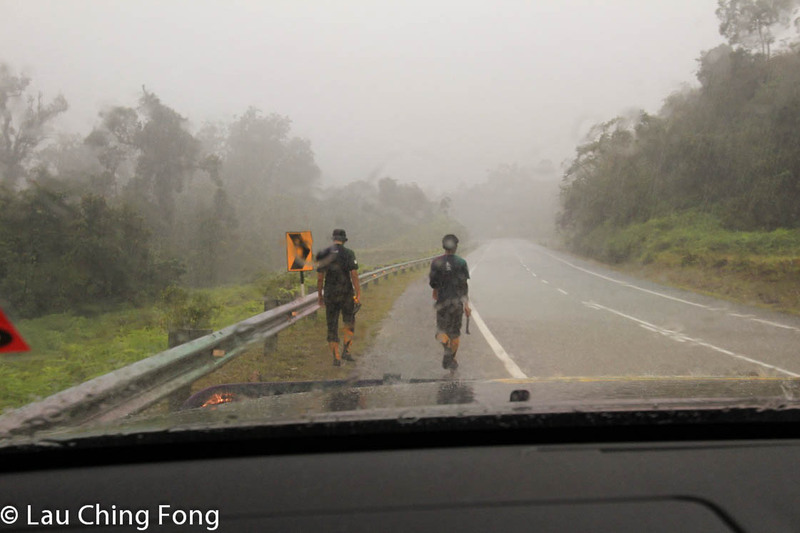 The tail end of the monsoon season caught Reuben and his team as they finally wrapped up their fieldwork, retrieving every last camera they set up along the Kuala Berang Highway. 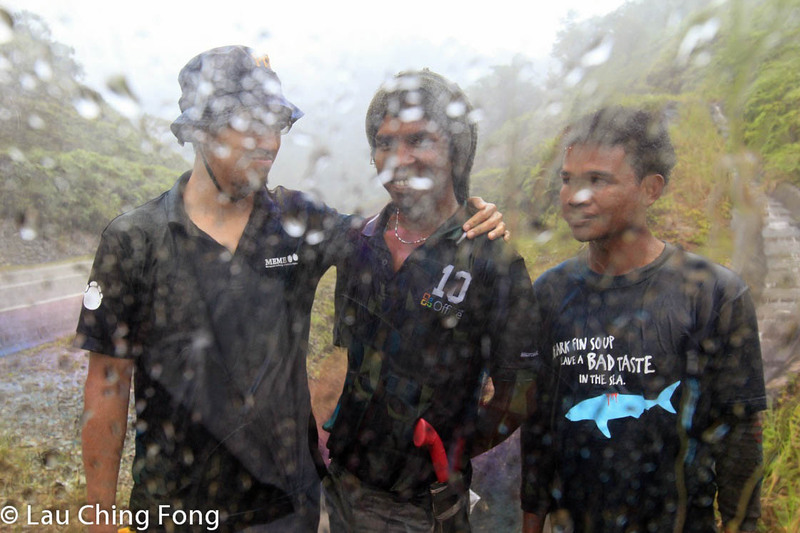 All the cameras set up in the Bintang Hijau Wildlife Corridor (Primary Linkage 8) have also been retrieved, but at a considerable cost – 15 camera traps were stolen over the course of 8 months! Only 2 were ever stolen from Kenyir within a similar sampling duration. Don’t worry, none of the stolen cameras were those adopted by individual donors. Memorable weather for a last day in the field! With all the cameras (and hopefully data) finally out, Reuben will be sitting down to analyse everything and make sense of what the results are telling us. Hopefully this will translate into meaningful management recommendations for the authorities such as PERHILITAN and JKR. However, this doesn’t mean that we’re done with Kenyir just yet. We hope to maintain a long-term presence (and research efforts) in this area, so we’ll be back for sure! 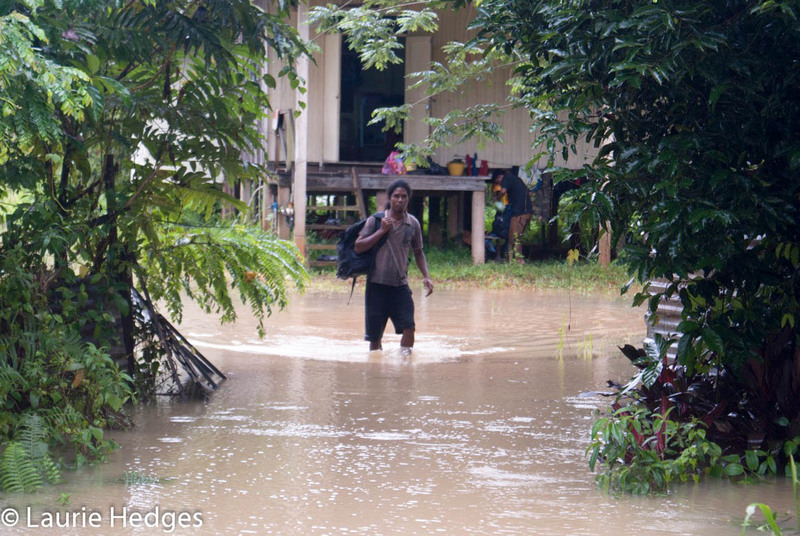 For starters, Laurie is hoping to continue our work in Kenyir with his very own project focusing on big cats. Stay tuned for that! In fact, if anyone would like to donate money for his Send Laurie on a Surf Trip Leopard Fund, feel free to drop him a line at laurie DOT hedges AT gmail DOT com. 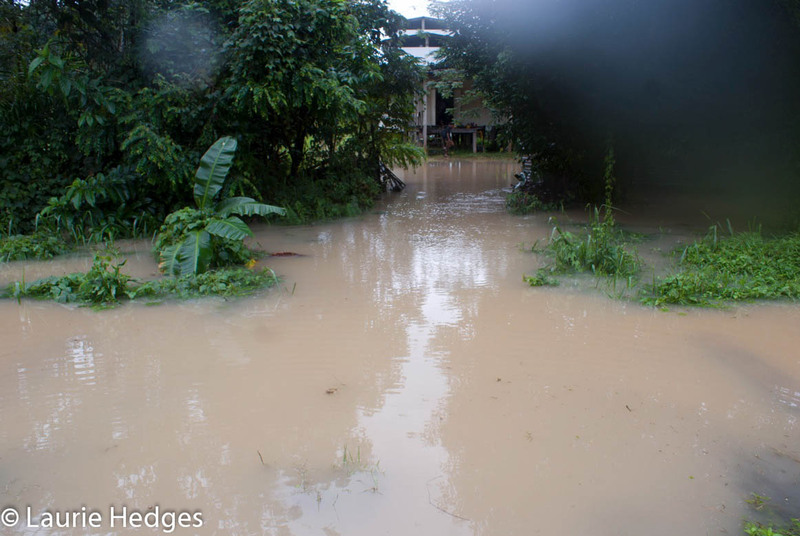 The water rose within mere minutes! So on the field front we’ve wrapped things up for now, but we will still continue to engage with policymakers and public in order to educate, raise awareness, and effect positive change. In fact, we just participated in our first official ‘outreach’ event this past weekend, when YB Toh invited us to hold a booth at a special Chap Goh Mei event in Kampung Cina, Kuala Terengganu. Rimba doesn’t officially do outreach programs as part of our work, but we will endeavour to chip in and contribute whenever there’s an opportunity to do so, as and when we’re needed. 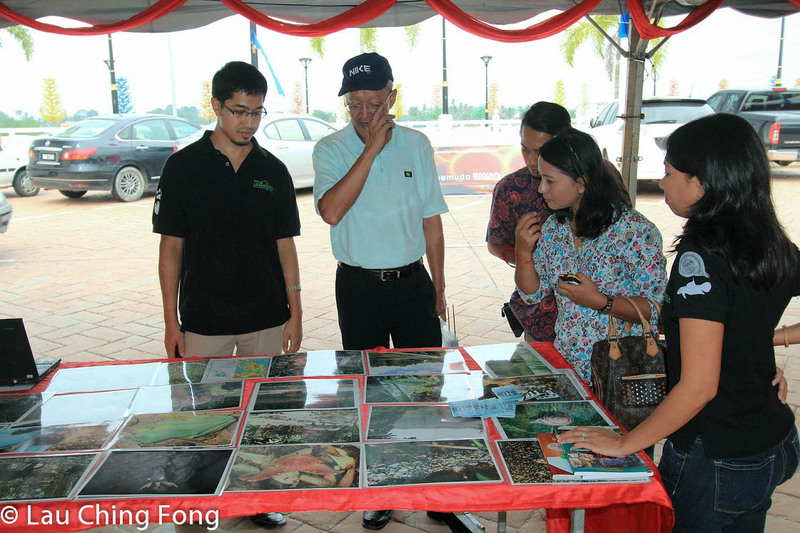 For now, not having any NGO-style flashy exhibition materials, we’ll stick to our photos of wildlife and nature which we hope will help inspire people to support biodiversity conservation. Big thanks to Lau Ching Fong and Lam Wai Yee for helping out at the event – and especially for Fong’s photography skills. Watch this space for our next project update, plus we also have another publication update coming soon. In the meantime, we’ll leave you with this final shot from Basung. Thanks so much to all our friends, supporters, funders and volunteers for helping to make it all happen! You guys rock!! !